Draycott 8 is a prestigious high end condominium project located at Draycott Drive, a prime residential area in Singapore. Draycott 8 has an extensive list of recreational facilities for the residents. Enjoy a relaxing game at the Mahjong Room or the Billiard Rooms, catch the latest movies and live sports telecasts at the wonderfully equipped Theatre Lounge or surf wireless Internet at the verandah. There is also an exclusive resident’s Wine Cellar with biometric security. Wine Tasting / Cigar Lounge and Terrace, Japanese Onsen room, Massage room completes the experience for rejuvenation. Other outdoor facilities include a 50-metre Lap Pool, Jacuzzi, Children’s Fun Pool, Tennis Court and BBQ areas. Draycott 8 is accessible via the nearby Stevens Road to Orchard Road and the Pan Island Expressway (PIE). Traveling to Singapore's Business District takes about 15 minutes and it takes about 20 minutes to the Changi International Airport. Orchard MRT Station is about 8 minutes walk away. 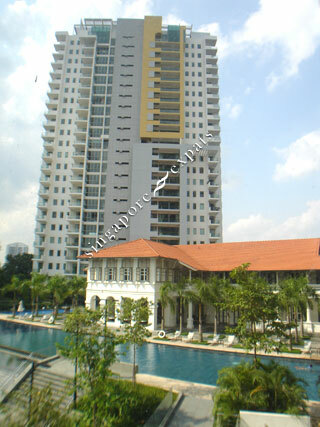 Rare exclusive condo with expansive grounds at the heart of the city (Orchard Road). Unlike other luxury condos in this area, Draycott 8 has beautiful lush greenery and grounds.